In Argentina, we started developing three blocks in the Vaca Muerta shales basin – Cruz de Lorena and Sierras Blancas (Shell interest 90%) and Coiron Amargo Sur Oeste (Shell interest 80%). In Brazil’s Santos Basin, we signed 35-year PSCs for the Saturno (Shell interest 50% as operator) and Tres Marias (Shell interest 40%) deep-water exploration blocks. Also in Brazil, we won four deep-water blocks in the Campos and Potiguar basins; we solely secured one exploration block as operator and secured three blocks in joint-bids (Shell interest 40%). Additionally, in Brazil, we took the final investment decisions (FID) for the Berbigão (P68) and Atapu I (P70) floating production, storage and offloading (FPSO) vessels (Shell interest 25%, subject to unitisation), and Mero I, located in the Libra block (Shell interest 20%). In Egypt, we approved the FID for the development of Phase 9B of the West Delta Deep Marine (WDDM) offshore concession (Shell interest 50%). In Kazakhstan, we took the FID for the development of the Karachaganak Gas Debottlenecking project (Shell interest 29.3%). In Malaysia, we took the FID for the development of the Gorek, Larak and Bakong gas fields in Block SK408 offshore Sarawak (Shell interest 30%) and the development of the Pegaga gas field in Block SK320 offshore Sarawak (Shell interest 20%). In Mauritania, we signed two PSCs with the government for the exploration and potential future production of hydrocarbons in the offshore blocks C-10 and C-19 (Shell interest 90% as operator). The blocks, which have a total area of approximately 23,675 square kilometres, are located in the West African Atlantic Margin exploration basin. In Mexico, we won nine deep-water exploration blocks; four blocks on our own (Shell interest 100%), four with our partner Qatar Petroleum International Limited (Shell interest 60%), and one with our partner Pemex Exploración y Producción (Shell interest 50%). The total area of these nine blocks is 18,996 square kilometres. We will be the operator of all nine blocks. In Nigeria, we renewed a number of onshore oil mining leases in the Niger Delta for 20 years (Shell interest 30%). Also in Nigeria, we took the FID on Assa North, Gbaran Enwhe and Gbaran Nodal Compression projects (Shell interest 30%). In the UK North Sea, we announced the FID for the redevelopment of the Penguins oil and gas field (Shell interest 50%). The project will use a FPSO and is expected to have a peak production of around 45 thousand boe/d. 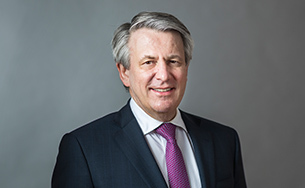 Also in the UK North Sea, we announced FIDs for development of our operated oil and gas fields – Fram (Shell interest 32%), Arran (Shell interest 44.6%) and Gannet E (Shell interest 50%) along with the Gannet Export infrastructure investment in the central North Sea and the Shearwater gas infrastructure hub; and the non-operated Alligin oil field West of Shetland (Shell interest 50%). Additionally, in the UK, we acquired a 22.5% non-operated interest in the P1830 licence and a 30% interest in the P1028 and P1189 licences; P1189 includes the Cambo discovery north-west of Shetland, where the successful conclusion of well-testing operations on the appraisal well was confirmed. In the US Gulf of Mexico, we announced the FID to develop the Vito deep-water field. Vito (Shell interest 63.1%) is expected to reach an average peak production of 100 thousand boe/d. In January 2019, we announced the FID for the Basrah Gas Company Natural Gas Liquids expansion project in Iraq that will increase the capacity to 1.4 billion scf/d (Shell interest 44%). In February 2019, we agreed the heads of terms for the resolution of the OML 118 negotiations, including the PSC dispute with the Nigerian National Petroleum Corporation (NNPC), following which we have a clear commercial framework for a potential Bonga South West Aparo FID, and announced an invitation to tender. In Brazil, we announced first production from our fourteenth FPSO (P69), in Lula Extreme South, which is expected to ramp up to full production capacity in 2019 (Shell interest 25%, pre-unitisation). In Nigeria, we announced a notable discovery, Epu Deep, which is a near-field gas discovery in the greater Gbaran area, onshore Niger Delta. It was discovered in the Epu Field block OML 28, located beneath the producing Epu Field in the Central Swamp area of the Niger Delta (Shell interest 30%). In the UK, we announced the start-up of the second phase of the Clair field, with an expected peak production of 106 thousand boe/d (Shell interest 28%). In the US Permian Basin, we nearly doubled our production in 2018 and matured an inventory of resources in excess of 1 billion boe that breaks even at less than $40 per barrel. In the US Gulf of Mexico, we announced one of our largest exploration finds in the past decade from the Whale deep-water well (Shell interest 60%). It was discovered in the Alaminos Canyon Block 772, adjacent to the Shell-operated Silvertip field and approximately 16 kilometres from the Shell-operated Perdido platform. Also, in the US Gulf of Mexico, we announced a large deep-water discovery, in the Dover well (Shell interest 100%). The Dover discovery is our sixth in the Norphlet geologic play. It is located approximately 21 kilometres from the Appomattox deep-water platform. We also completed the construction of the Appomattox deep-water platform in the US Gulf of Mexico. We expect to start production in 2019, with an expected average peak production of approximately 175,000 thousand boe/d (Shell interest 79%). Additionally, in the US Gulf of Mexico, we commenced production from Coulomb phase 2 (Shell interest 100%). We announced the start of production of Kaikias Phase 1, a subsea development in the US Gulf of Mexico with an estimated peak production of 40 thousand boe/d (Shell interest 80%). It will produce oil and gas through a subsea tie-back to the nearby Shell-operated Ursa production hub. In February 2019, we announced the start of production from our fifteenth FPSO (P67), in Lula North, which is expected to ramp up to full production capacity in 2019 (Shell interest 25%, pre-unitisation). 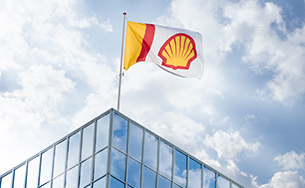 In the Netherlands, the shareholders of the Nederlandse Aardolie Maatschappij B.V. (NAM) (Shell interest 50%) and the Dutch government signed a heads of agreement (HoA) that includes measures to support the reduction of production and to ensure the financial robustness of NAM. As part of the agreement, NAM’s shareholders have agreed for NAM not to declare dividends for 2018 or 2019. In Iraq, we sold our 19.6% interest in the West Qurna 1 field. We also handed over operations of the Majnoon field to the Iraqi government. In Ireland, we sold our 45% interest in the Corrib gas project. In Malaysia, we completed the sale of our 50% interest in the 2011 North Sabah EOR Production Sharing Contract. In Norway, we sold our entire 44.6% interest in the Draugen field and 12% interest in the Gjøa field. In Oman, we sold our 17% interest in the Mukhaizna oil field. 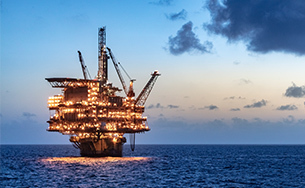 In the UK, we sold our interest in the Triton Cluster, which comprises the central UK North Sea assets: Bittern (Shell interest 39.6%), Triton FPSO (Shell interest 26.4%), Gannet E (Shell interest 50%) and Belinda/Evelyn (Shell interest 100%). In the US Permian Basin, we divested approximately 10,500 non-core net mineral acres and primarily undeveloped assets. In Denmark, we announced the sale of our 36.8% non-operating interest in our joint venture, the Danish Underground Consortium. The transaction is expected to complete in 2019, subject to partner and regulatory approvals.